Use hierarchical sunburst analysis to explore data over time. Finding time-based patterns of behavior can be complex in large data-sets. 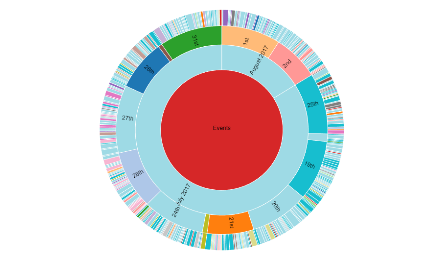 Using a multi-tier starburst visualization, you can easily drill-down through time periods and hierarchical event attributes, such as users or systems. You can do this to identify unusual occurrences or peak periods of activity.